I wanted to quickly share with you a video that has me geeking out. 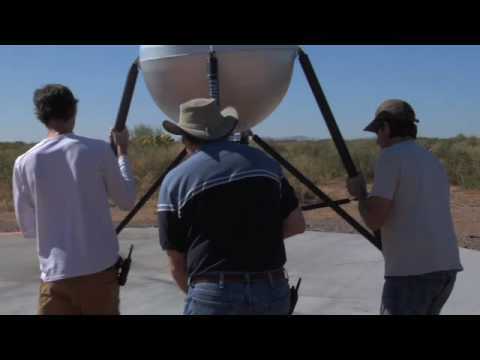 This is a video of a Lunar Lander Challenge in which Armadillo Aerospace competes with TrueZer0 for a prize of $350,000. Armadillo Aerospace is a private aerospace group that was founded in 2000 by John Carmack. Carmack is co-founder and lead programmer at id Software, a pioneer in the gaming industry which has developed such games as Wolfenstein, Doom, and Quake and are currently developing Rage. I’m no rocket scientist (har), so I’m not sure how unique an accomplishment this actually is in the world of privatized aerospace, but I still think it’s pretty damn cool to watch.